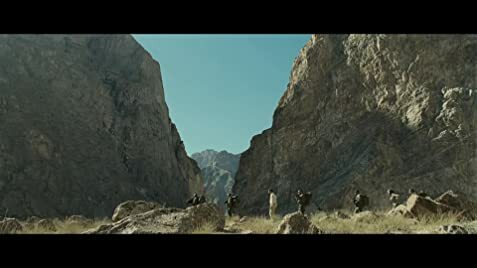 Co-written and directed by Stephane Rybojad, this debut feature is impressive and remarkable considering the sheer logistics involved in having it filmed in Tajikistan passing off as Afghanistan and its tribal borders where the film was primarily set. Rybojad cut his teeth with countless of documentaries, some of which involved the French special forces, so to say that he brings a degree of realism to the film is an understatement, having first hand knowledge about the weapons and tactics, despite having to weave a fictional tale around it that will appeal to a broad audience. With a host of rifle weaponry, high-tech equipment and decked to the nines by smaller arms to larger ones like the Super Puma choppers (amongst others) and boasting even an aircraft carrier, some may be quick to claim that the film is nothing but propaganda for the French armed forces. 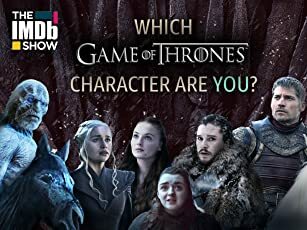 But that can be so far from the truth, because what Rybojad had done is to provide a tale about humanity both good and evil, and the dilemma that anyone entrusted with a life and death situation to deal with almost on a constant basis. With just gun battles alone one may be better off with a computer game, but the story here, no matter how standard and cliché at times it may seem, worked without attempting to do more than it's capable of, knowing its limits and sticking very much to its strengths, despite having its final act a little bit clunky and a pivotal scene that turned out to be quite unbelievable in terms of geography, but with narrative films there's always the element of chance and coincidence otherwise nothing would actually happen. 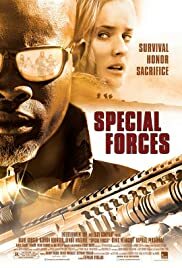 While it's not everyday that we get to see a French action film, and one based on a uniformed group at that (the last being the GIGN in the film The Assault, which is based on a factual, historical incident), and this one in some ways reminded me of the Hollywood film Tears of the Sun by Antoine Fuqua. Both films feature a group of special forces troopers being tasked with an extraction mission, only to come face to face with a numerically superior opposition, having to battle the enemy while protecting their mark, and having the latter female and strong willed and at times at loggerheads with the mission objective, influencing how the troopers will function as a unit and having to constantly review whether they should just follow orders, or go about on a wider humanitarian mission that doesn't betray the conscience. There's no Bruce Willis here, but Djimon Hounsou takes the charge as the leader of a group of six men in total tasked with a reconnaissance mission at first to uncover the whereabouts of the kidnapped journalist Elsa (Diane Kruger), before having their mission immediately turned to one of extraction. It may seem like an open and shut, routine mission with highly skilled, trained and equipped men balancing the odds of being numerically disadvantage, if not for Michael Cooper and Stephane Rybojad's story throwing a spanner in the works by taking out all their communications equipment very early on, rendering a change in their LZ impossible, and being left to their own devices to escape from Elsa's Taliban captors who are fast closing in on them. The structure here may seem similar to Tears, but it doesn't come with any requisite twists and turns. In fact the enemy may well be the harsh terrain and sub zero temperatures the group has to battle against, and for those pampered by things blowing up in the first half of the film, this portion on may seem like an anti-climax, especially when the story seemed to lose its tight grip on the plot, and made concessions to allow for closure. The introduction was what set the stage with a glimpse of how tight the Special Forces work, flying in with their choppers on a mission to capture a war criminal, and a number of set action pieces to whet the appetites of the action junkie from the actual rescue of Elsa and the protection of tribal villagers who had shown them hospitality. But ultimately the story never allows you to forget about each of the characters, giving each some very strong identifiers that you'll feel for them especially since Cooper and Rybojad shows no mercy if any were to slip up and be complacent, never in their intention to build supermen or a super team, even if early skirmishes may seem to suggest something like that. It is this avoidance of caricatures that makes you feel for the safety of everyone each time a shot rings out, and as weapons and ammunition become light, fuses a real sense of danger and fear. The villains however are plainly one-dimensional, even for the chief terrorist Zaief (Raz Degan), who has no lack of scenes to show why he's pure evil and is one to be gotten rid of. Still, Special Forces ranks up there with the many films from around the world about specially trained men and women in uniform being called upon to put their lives at the forefront in the protection and well being of others, and you can either view this as a purely action flick, or a tribute to the spirit of the such groups, with a stark comment as explained by a character, that it's better to go in a blaze of glory, than to live a life of anonymity. 34 of 62 people found this review helpful. Was this review helpful to you?